There are so many fabulous places to choose from. So to help our guests staying in Edinburgh, we’ve put together a list of our favourite lunch restaurants near Edinburgh Castle. (Prices as of February 2018). A recent discovery for us and now a firm favourite. 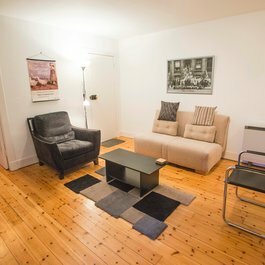 Michael Neave Kitchen and Whisky Bar is tucked away in a close off the Royal Mile. Opened by Chef Michael Neave, as his first restaurant, the menu showcases locally sourced Scottish produce at fantastic value. Three course set lunch menu £9.95. Just a few steps from Edinburgh Castle, The Witchery is a renowned fine-dining restaurant within a historic listed building. While dining in dramatic Gothic surroundings and a magical candlelit atmosphere, you can enjoy some superb Scottish cuisine here. Two course lunch menu £22. With a reputation as one of Edinburgh’s finest restaurants, Ondine offers a variety of Scottish fish and seafood in a vibrant and lively atmosphere. The bright, contemporary restaurant has its own Oyster Bar and serves up a wonderful fresh and seasonal menu. Two course set lunch menu £19. We hope this has given you a taste for some of the wonderful restaurants near Edinburgh Castle. We also love the Cannonball Restaurant and Bar for award-winning food and fabulous Castle views. And not forgetting the amazing Amber Restaurant, inside the Scotch Whisky Experience, perfect for whisky lovers! 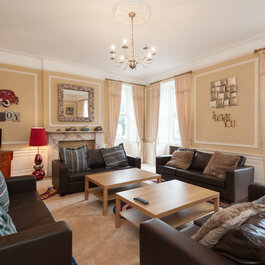 If you're still not sure where to stay in Edinburgh, take a look at our beautiful holiday lets. Some are just walking distance of Edinburgh Castle. 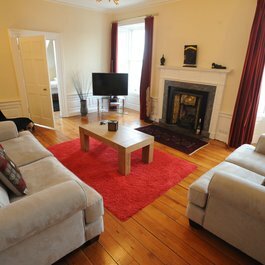 And please get in touch if we can help you to find your perfect self-catering accommodation.